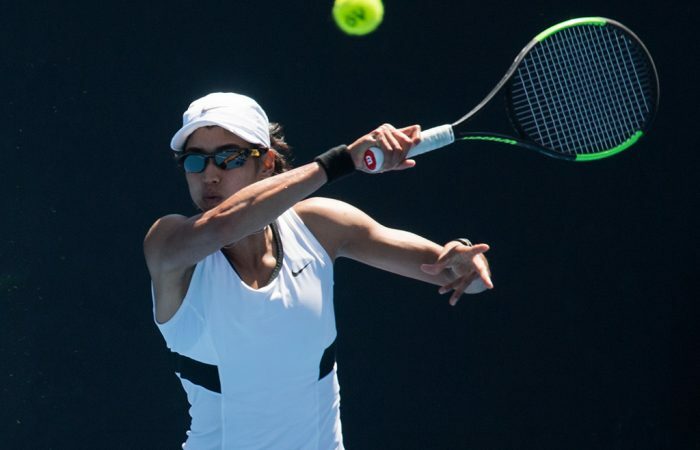 Having graduated from Vanderbilt University in Nashville, West Australian Astra Sharma has turned her attention to the pro circuit - and is on the way up. 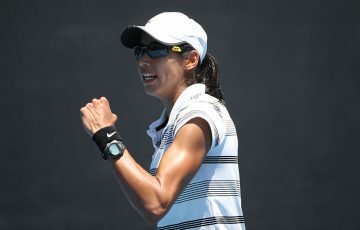 Astra Sharma, the rapidly-improving West Australian, is on the cusp of the WTA top 250. Yet she may have flown under your radar. And that’s probably because her development as a player has unfolded for the past five years away from Australian shores. Struggling with ankle and wrist injuries at age 18, Sharma decided to head to the United States to give college life a crack at Vanderbilt University in Nashville, Tennessee. She went on to immerse herself in the tennis scene and thrived, earning awards such as Southeast Conference Player of the Year in 2017 and All-American honours in both singles and doubles the same year. Majoring in Medicine and Health & Society, she graduated this year and continues to live in Nashville, working with her university coach Geoff Macdonald. She even speaks with a tinge of an American accent. Because of her college tennis commitments, Sharma, now 22, has only ever played the second half of each year, at best, on the ITF circuit. Which makes her position in the rankings all the more impressive. That progress began in earnest in the second half of 2017. With the college tennis season over, she began competing regularly on the ITF pro circuit and went 29-11, shaving more than 400 spots from her ranking to end the year at No.440. This year, Sharma’s win-loss record stands at a sparkling 21-7, boosted by ITF $25,000 victories in the past two months at Baton Rouge and Gatineau, Canada – her biggest titles to date. 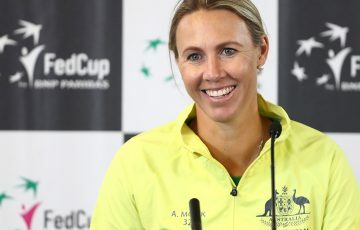 In the last week of June she was ranked No.409, but she has since shot up to 260th and is now knocking on the door of the Australian top 10. “It’s all very new to me and for sure I’m going to sit down and reassess my schedule with these new opportunities opening up,” she said. Yet she’s already turning her attention to bigger prizes. 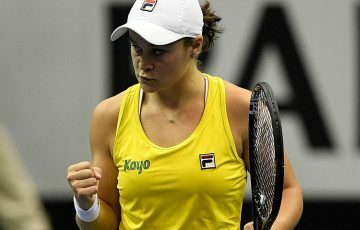 She recently contested $60,000 ITF events in Granby and Lexington – winning her first-round matches at both – and is next targeting the $100,000 ITF Vancouver Open. 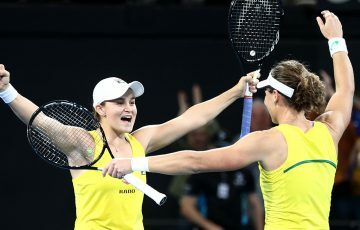 After that will come a shot at the US Open main draw when she enters the Australian wildcard play-off in New Haven, featuring seven other women. 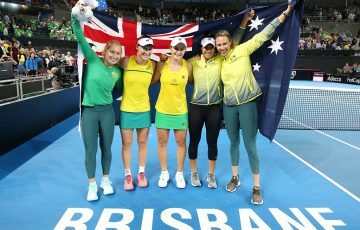 “We’re really excited to have her in the wildcard play-off – it’s a great opportunity for her,” said Nicole Pratt, Tennis Australia’s head of professional women’s tennis. “We’re very aware of what she’s doing and supporting her how we can (while she’s attended Vanderbilt). She’s been on our radar. “One of her biggest attributes is her attitude. It’s awesome; she’s extremely positive and extremely coachable. And in terms of a weapon, her physicality is huge. Even when she was a teenage athlete in our academies, her testing results – things like vertical leap, speed and overall conditioning – were the highest we’ve ever recorded for females. “She’s got an all-court game; because of her height (178cm) she’s able to get some really good pop on her serve to set up points. Getting into the swing of tour life has been an eye-opening experience for Sharma, who was born in Singapore before moving to Perth at age eight with her family. “I’m struck by the amount of planning each tournament takes, to deal with housing, flights and travel. I think logistics have been the biggest thing (to adjust to),” she said. “I travel with whoever is on the same schedule as me. I like to think I’ve made a few friends on tour; it’s been really nice getting to know some of the girls. We all are going through the same journey and I think that it’s awesome if we can try and help each other along as we go instead of isolating ourselves and taking life too seriously. Sharma speaks fondly of her time at Vanderbilt. She points to the high standard of facilities, coaching and medical support and acknowledged the talent of her teammates. She believes it helped her achieve balance, made her a more well-rounded person, and, essentially, better prepared for life. “It was easy to improve in such a great environment,” she said. Sharma has for the past four years juggled her tennis development with a study pathway she hopes one day might lead to medical school and a career as a surgeon. But thanks to her recent success, her immediate plans are more clear, and tangible.